As I mentioned in yesterday's post, after pumpkin carving on Friday night I was left with the seeds of five pumpkins. 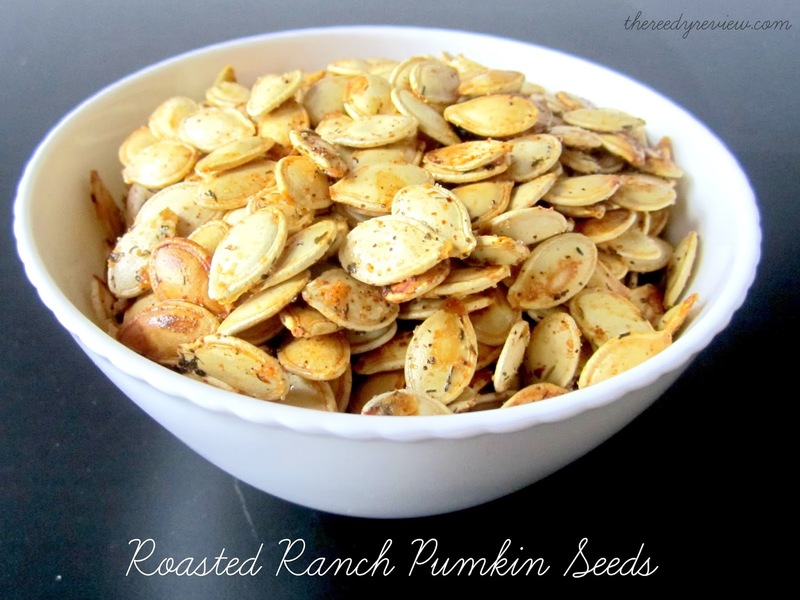 As a kid we always had roasted pumpkin seeds so I was really excited about giving them a shot myself. I looked up several recipes and combined a few to get the flavors that I was wanting. I brought them to our tailgate the next day and they were a big hit. I'm always looking for tailgate foods that can stay out all day without spoiling, and this one fit the bill! Preheat oven to 375. 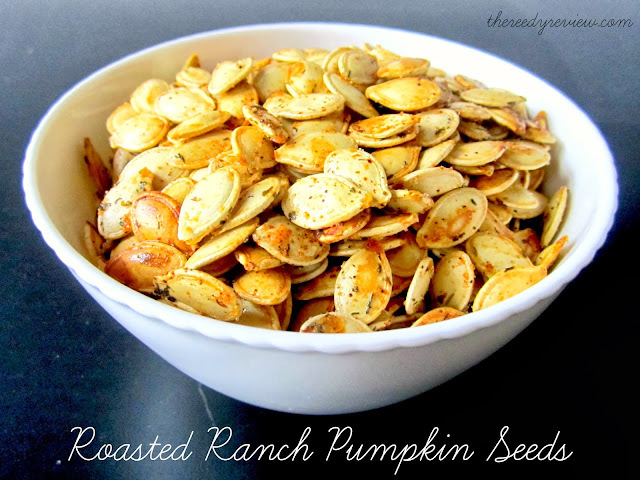 Stir pumpkin seeds, oil, and seasonings until seeds are evenly coated. Roast seeds for 30 minutes on a greased baking sheet, stirring every 10 minutes until golden. Yum!! I do a really simple recipe that I got from a friend years ago. They never last long in my house! Oh my stars! Never thought of adding ranch seasoning. YUM!!! keepin this one in my back pocket!!! !